If you’re a man over twenty-five, either working a full time job or retired, you might want to hire a personal trainer to eliminate some of the guesswork in fitness and nutrition. By fully evaluating the advantages and disadvantages of hiring a trainer, you can see if one is right for you. There’s a reason it’s called personal training. Hiring a personal trainer means getting one-on-one assistance customized to your needs. All your goals, statistics, and schedule will be taken into consideration (not just fitness either; some specialize in nutrition too). Everything you and your trainer accomplish together is based and focused on what you want to achieve. Some trainers may have a preferred or common pool of clients, but the majority can tailor their program to any age. Whether you’re still in your thirties or approaching your sixties, there is a trainer out there that is willing work with you. Don’t let getting older stop you, and don’t be afraid to communicate with your trainer on certain goals, routines, etc. — that’s what they are there for. Because trainers are certified, they know how to perform exercises with proper form. When it comes to working out, form is key, since improper form can lead to injury. This is especially important when lifting weights because you don’t want to put too much pressure on your joints, nor do you want to misalign your body. Trainers will ensure you are using proper technique while doing a routine. Often times they will act as your spotters either behind or above you, depending on type of exercise. Form isn’t just about how to pick up weights either; your trainer will also inform you on correct posture and breathing techniques to ensure a safe and effective workout. Perhaps you’re a veteran when it comes to fitness, or getting bored with your current routine. A personal trainer can help spice up your regimen and challenge you in ways you never thought possible. If you want to take your fitness to the next level, a trainer may be the answer. Perhaps you’ve plateaued in your fitness and are seeking a different routine. Perhaps you’re experiencing self-doubt about an event such as a marathon or a new form of exercise like Nordic Running. 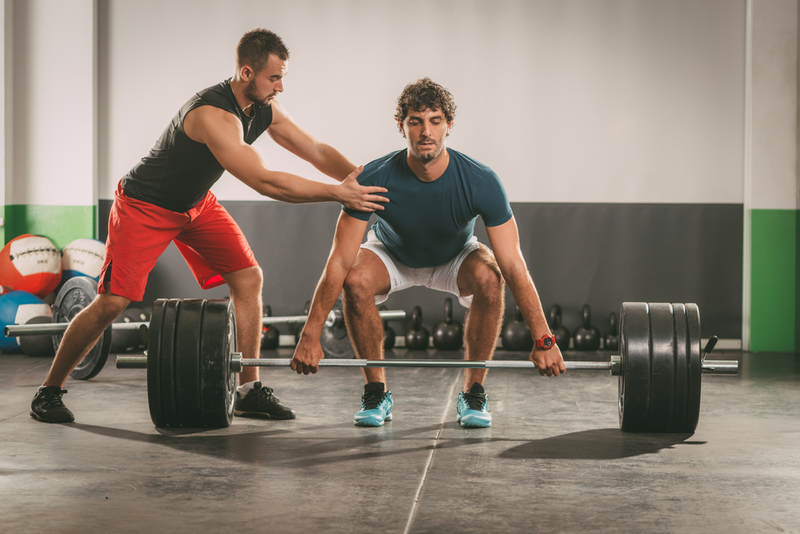 A trainer can definitely assist you and push you to do your best, turning your “I can’t” into an “I can and I will.” If you’re looking for a challenge, and someone to challenge you, hiring a trainer is certainly a viable option. The aspect of accountability can serve as both a pro and a con. A personal trainer keeps you accountable for your workouts (and if applicable, your eating habits). If you struggle with maintaining a workout routine, being scrutinized by someone else may sound daunting. On the other hand, accountability can serve as motivation. When logging in workouts and showing up to the gym become requirements, you might feel more motivated to stay on track. A second factor for motivation is that you have another person who you are depending on, and who is depending on you. You depend on the trainer for advice, whereas he or she depends on you to follow that advice. The most glaring drawback about hiring a personal trainer is the cost. On average, the hourly charge for a trainer is $60 to $70 per session. Some trainers may charge less, whereas others earn as much as $15,000 for six months. Either way, personal trainers are not a cheap option, so you would want to check your bank account before starting your search. However, if you are really set on working with a trainer, you can save up. Sites such as Thumbtack or FitnessTrainer will give you a variety of different people to work with, and all of them will have different rates. You can also ask about trainers at your local gym and get face-to-face information and feedback about prices. Another negative aspect is if you aren’t able to cooperate with or don’t like the style of your trainer. Every trainer has a different way of setting up and doing business. Some are more flexible with scheduling, whereas some have more aggressive methods and approaches. You don’t want to spend money and work with a trainer you don’t mesh well with. 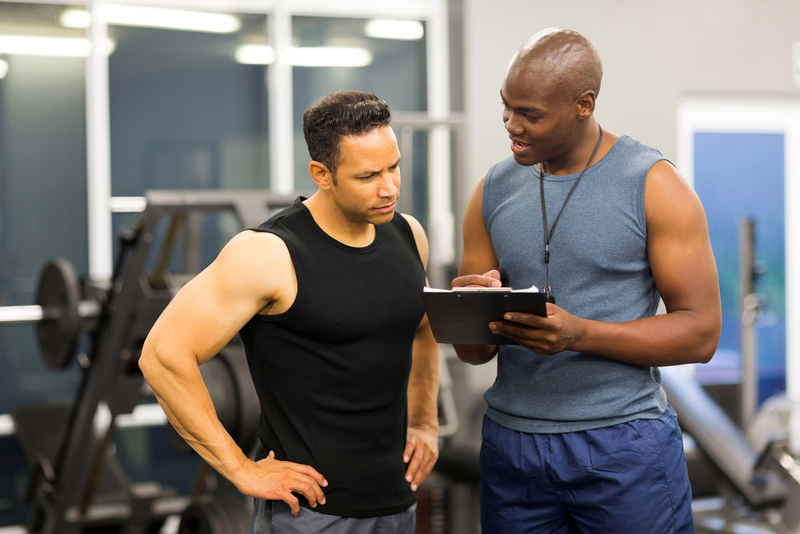 Before selecting your trainer, see if you can speak to them on the phone. While e-mail is quicker, it’s difficult to decode his or her tone. Hearing his or her voice and their responses to your questions and concerns is a good way to see if you can work well together. Better yet, try to arrange a face-to-face meeting with them before starting, whether it’s a trial session or just grabbing lunch. Although the professional help from trainers seems like a benefit, you have to ensure their credentials are legitimate. Personal trainers become certified after going through a certification program or passing an exam. For instance, just to be eligible for the American Council for Exercise (ACE) exam, you need to be18, graduated high school, present a government issued ID with a signature, and possess an up to date CPR/AED certification with live skills. It can be hard to assess the credentials of a trainer, especially online. You want to make sure they have been trained to give you quality help and know what to do in emergencies. When meeting with your trainer, ask to see his or her credentials. If he or she is authentic, it shouldn’t be a problem to show them to you. Like anything, hiring a personal trainer has its positives and its negatives. If you’re on a budget and seem skeptical about working with someone else, this may not be the best choice. However if you want personalized and professional help with fitness that demands accountability and a challenge, you should start your search for a personal trainer as soon as possible.